Ahmedabad: With demonetization, many cases have come to light, of people/organisations offering schemes to convert black money to white, for commission leading to quick money. One such “scheme”proved hard for a Surat Based doctor, who found himself kidnapped after being lured with promises of quick money. 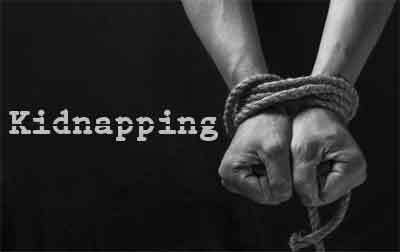 Luckily, the immediate intervention by Special Operations group (SOG), crime branch, came to the rescue of the said doctor by kidnappers within no time. One of the kidnappers was also nabbed by the Police in the case. Vidhi Chaudhary, DCP, zone-7, informed TOI , “The doctor and several others who were supposed to help strike the deal were promised 10% commission for the transaction.” DCP Chaudhary adding that they are searching for the other accused involved in the kidnapping. With the promise of the commission the doctor arrived in Ahmadabad to strike the deal. Unfortunately, he was kidnapped by the said conmen, who were posing to be agents of a Delhi based company. “On November 25, Dr Tadvi, Ejaz and others arrived in Ahmedabad to strike the deal. They went to a office at Synergy building on SG Road, where they met Abhishek Agrawal, supposedly an agent of the Delhi-based company,” said a police official. When the conmen realized that the doctor had not brought any cash with him, they took him to Shivalik Abaise Tower in Anandnagar and confined him in office number 406, demanding ransom of Rs 50 lakh, but later setting for Rs 5 Lakh. The doctor was told to call up his friends in Surat and arrange for the said amount. Luckily for the doctor, one his friends immediately informed the state police control room, who apprised the city crime branch about the said operation. The boss of the office, mastermind of the kidnapping, then sent a man on scooter to take the delivery of ransom amount in a scooter. He was nabbed there by the police. The doctor was later rescued from Vatva and handed over to the Anandnagar police, adds the daily.